Ph.D. in Forest Sciences, 2017 (Université Laval) . B.Sc. in Biological and Ecological Sciences, 2011 (Quebec University in Trois-Rivières) . I am interested in the ecology of the hypogeous mushrooms (that grow underground as truffles ), especially the interactions between fungi and animal kingdoms. Among others, which mammals eat hypogeous mushrooms (named mycophagous animals ), and for each of these mycophagous species, how often do we find mushrooms in their diet and also which ones. In resume, what animals eat underground mushrooms, which ones and does it happen often? To answer these questions, I use an approach without trapping the animal. This approach consists in luring micromammals (mice, squirrels, chipmunks, flying squirrels, and voles) on cedar sheets and to collect the faeces that will be left after eating. From these faeces, we obtain genetic materials. The DNA Sanger sequencing method allow us to know which mammal produced the excrement while the 454 pyrosequencing method allow us to know which mushrooms were eaten. This project is taking place in two boreal balsam fir forests: Parc national des Hautes-Gorges-de-la-Rivière-Malbaie and Forêt Montmorency , both located in the Laurentian Massif. 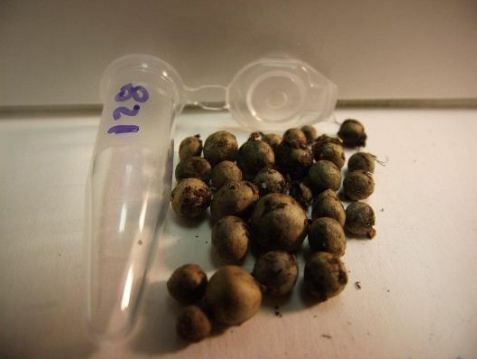 Micromammals are a study subject which is obvious in mycophagy since in functional ecology they are recognized as dispersing mushrooms spores (that they eat and disperse in their faeces). Moreover, in the West of the continent, the Western Red-backed Vole (Clethrionomys californicus var. californicus) is an obligate mycophagous: it must have access to mushrooms to survive as a tiger needs meat to stay alive. This animal is so used to eat mushrooms that it has the ability to digest as nutrients as the Northern flying squirrel (Glaucomys sabrinus) could digest with the same diet of hypogeous mushrooms, even being six times smaller! Finally, the teeth of the rodent do not grow throughout its life as all others rodents. Its teeth are delicate and inadequate for the abrasive or solid food (since they are adapted to eat smooth and soft mushrooms). In resume, the herbivores eat plants, the carnivores eat animals and the mycophagous eat mushrooms. Each one of them is equally dependant on its resource. When starting this search, we still did not know the identity of the obligate mycophagous of the boreal forest of Eastern Canada… This is what we are trying to discover. We are also specifically interested in the Northern flying squirrel , this animal being considered as a preferencial mycophagous in the West of the continent. It will be interesting to know if its diet is the same as Northern flying squirrels from here. The hypogeous mushrooms of the boreal forest are, for the majority, still unknown for us, we expect that the study of the diet of the Northern flying squirrels will allows us to discover the mysterious biodiversity that is under our feet. 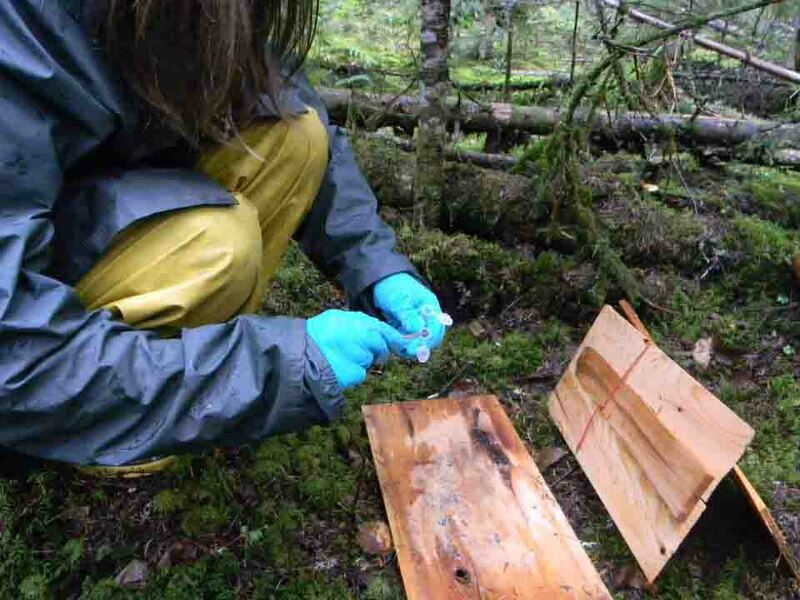 This project takes place near Rouyn-Noranda where Pauline Priol sampled faeces for this project and in the touristic region of the Laurantians where France Barrette and Michel Hénault captured Northern flying squirrels (incidental catch). A total of 300 Northern flying squirrels has been analysed. If you are interested in this area of research, see also the page of Mathieu Paradis who compared the mycophagy of the Northern flying squirrel and the Southern flying squirrel (Glaucomys volans). Finally, we had planned to analyse faeces of white-tailed deer got by Steeve Côté ’s team from the Anticosti Island and from several hunters scattered in the province of Quebec. A team from Quebec showed us that these animals ate mushrooms (Daigle and al., 2004 ). It is interesting to know that the genus Elaphomyces is a mushroom believed to be eaten by the white-tailed deer since its name means food of the deer in English. This mushroom got its name in the early 1800s… We still need to clarify if whether it was an observation results or if it was a fancy to name it that way! 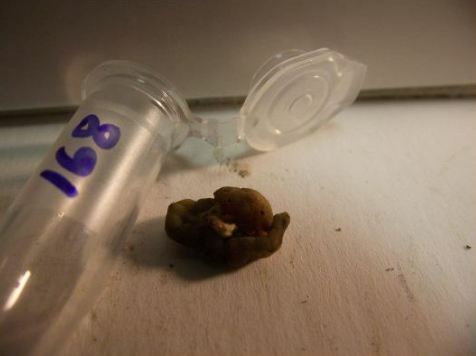 We also had planned to analyse faeces of caribou from the Gaspésie National Park got by Claude Isabel's team because they are also very likely to feed on several species of hypogeous fungi. 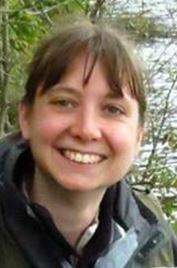 With the project already generating an impressive amount of interesting and rapidly expanding results, this section has been moved to Myriam Cadotte . (More informations on mycophagy (french only) ). The Montreal Circle of Mycologists. 2014. Mycophagy, search results. Canadian Botanical Association. 2014. Animal Mycophagy. The Montreal Circle of Mycologists. 2014. 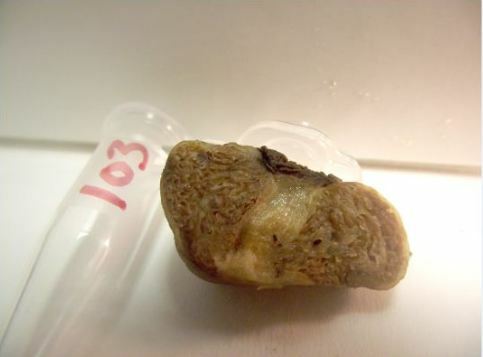 Mycophagie animale : un chaînon manquant en mycologie boréale. Colloque du Centre d'étude de la Forêt (CEF) 2013. Montebello. Mycophagie : le chaînon manquant en écologie boréale ! (See poster ). Quebec University in Trois-Rivières. Concours d’affiches scientifiques. 2011. Influence des parasites sur la croissance des perchaudes. (See poster ). BIO 1002 - Evolutive Biology. Quebec University in Trois-Rivières. 2019. 3 hours. ZOO 1005 - Mammal Biology. Quebec University in Trois-Rivières. 2018. 45 hours. GNT 1001 - Genetics. Quebec University in Trois-Rivières. Each year since 2014. Genetics of fungi. 1 hour. BIO 1300 - General mycology. Laval University. 2014. Reproduction of fungi. 1 hour. BIO 7904 - Integrative ecology of plants symbiosis. Laval University. 2012, 2013, 2014 and then recorded for all next years. Animal mycophagy and synecology. 1 hour. BIO 1300 - General mycology. Laval University. 2013 and 2014. Animal mycophagy. 1 hour. Chair of the Evaluation Committee for the Scientific Poster Competition for the Bachelor of Science in Biological and Ecological Sciences. Université du Québec à Trois-Rivières. 2018. Supervision of Antoine Houle-Demers in the BIO-3503 course Documentary Research at Université Laval for the B.Sc program in Biology. 2018. Scientific review of some texts in Jean Després's book Le tour du monde des champignons en 60 tableaux . 2014. Evaluation of scientific posters by students of BIO 1300 - General mycology. Laval University. 2012 and 2013. Identification native epigeous and hypogeous fungi, theory and outdoor classroom. École Forestière de La Tuque. Spring and Fall 2018. Initiation to search for truffles, initiation and outdoor reseach. Festival d'Éducation Libre. Ste-Béatrix. 2018. Trilogy of conferences on Science, three hours on three days. Filière Mycologique de la Mauricie. Trois-Rivières 2017. Animal mycophagy, Symbiosis and Biomimetic. 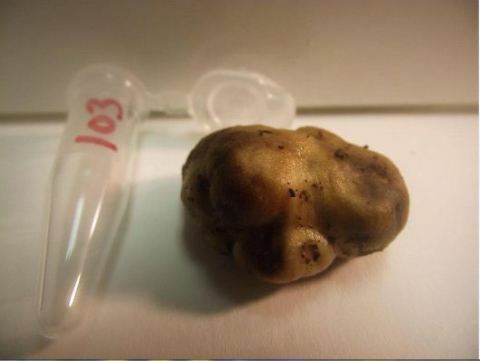 Ecology of truffles. Quick talk. Club des producteurs de noix comestibles du Québec. Saint-Ambroise-de-Kildare 2017. Scientific career. Presentation to a class of high school students. Trois-Rivières 2017. Myco-Midi for the diffusion of mycological sciences to the general public. Quebec 2013. Animal mycophagy. Course of protection and exploitation of faunistic territories. Professional Training Centre of Mont-Laurier. 2013. Animal mycophagy. Comment: "Thanks again for your great presentation, all students and teachers have found it extremely interesting! A forestry teacher even went to see the André Fortin site. We talked a lot about it again and we remembered many things". - France Barrette, teacher at the Professional Training Centre of Mont-Laurier. Radio-Canada interview (french only): Mangeurs de champignons . 2018. Article published in the Boletin, the Journal of the Cercle des mycologues amateurs de Québec. 2017. Caloscypha fulgens. A report by Ethel Gutierrez for the Montreal University independant journal (french only). 2016. A report by Anne Lebreton (french only). 2015. Radio-Canada interview (french only): Doc / Post-doc . Montréal 2014. 3 Minute Thesis. Faculty of science and engineering, Université Laval. Québec 2014. Winner of the 3rd Prize. Guest panelist to the Innovation conference, ACCT Canada . Fostering an Entrepreneurial Culture Among Canada’s Scientists panel. Toronto 2013. Presentation to the Innovation conference, ACCT Canada . Student Entrepreneurship Presentations. 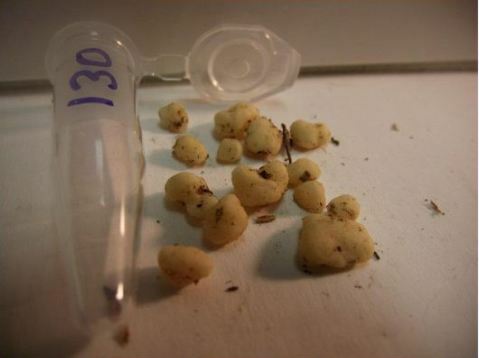 Radio-Canada interview (french only) : Find truffles using squirrels. 2013. Guest panelist to the Canadian Science Policy Conference . Student Entrepreneurs as a Knowledge Vehicle panel. Toronto 2013. Presentation at the Dragon’s Den of the symposium «Stimuler l'entrepreneuriat et l'innovation en sciences : nouveaux enjeux pour l'éducation, la recherche et la société » at the 81st congress of the ACFAS. Quebec 2013. Won the Jury Prize equally placed with M. David Drouin and the public choice winner. I am currently working on fundamental studies but the potential for technology transfert exists. See the presentation (french only) . 2014. The Quebec Forest Industry Council. Doctoral Scholarship. 2013-2016. The Natural Sciences and Engineering Research Council of Canada. Alexander Graham Bell D (CGS D) Canada Graduate Scholarship. 2013. The Quebec Forest Industry Council. Doctoral Scholarship. 2012. The Canadian Wildlife Federation. The Orville Erickson Memorial Scholarship. 2012. The Montreal Circle of Mycologists. Scholarship of the 60th CMM. 2011. The Anne Vallée Ecological Found. Research scholarship of second-cycle level. 2011-2013. The Quebec research found – Nature and technologies. Master’s Research Scholarship. 2009 and 2010. The Natural Sciences and Engineering Research Council of Canada. Research scholarships of the first-cycle level. Project management (coordinator, project manager and estimator, 2004 to 2007). Management of human resources (field teams, laboratory, office and volunteers, 2006 to present). Logistics (Organization of conferences and welcoming researchers from abroad, 2009 to present). Director of re-engineering's challenge to the Engineering Competition of Quebec, 2014. Scientific mission on a laboratory ship, 2009. Collaboration with different field work in aquatic ecology, 2008 to 2010. Preparation and supervision of field work in terrestrial ecology, 2011 to present. Molecular Biology (RNA:DNA ratios), 2008 to 2011. Establishment of a protocol for keeping yellow perch in captivity from eggs of wild-type strain, 2009. Responsible for two wet labs and their fish stock (trout and yellow perch), 2009. DNA extraction from simple material (mushrooms) and complex (excrements), 2011 to 2016. DNA amplification for Sanger sequencing and for 454 pyrosequencing, 2011 to 2016. DNA purification for 454 pyrosequencing, 2011 to 2016. Development of specific DNA primers adapted to small mammals of the boreal forest, 2011. DNA blast with genbanks, 2011 to present. Sequence alignment (BioEdit software), 2011 to 2016. Analysis of 3,000,000 sequences from 600 samples (454 pyrosequencing), 2014 to 2016. Use of computing resources of Calcul Québec and Linux, 2013 to 2016. Multiple linear regressions and analysis of variance (ANOVA), 2011 to present. Choice of model by stepwise selection (stepAIC), 2011 to present. Anne Pringle of Harvard University as well as her entire laboratory's team for your precious advices. Rosanne Healy of Harvard University for the transmission of knowledge. Erik Hobbie of New-Hampshire University for the ongoing collaboration, the transmission of knowledge and the stimulation of my project. Philippe Massicotte and et Louis Houde for the help and advices relative to statistics. André Gagné, Aida Azaiez, Marie-Ève Beaulieu, Laurent Fontaine, Jessika Pickford, Jean-Guy Catford, François Belzile, Suzanne Marchand, Louis Bernier, Serge Sokolski, Christiane Noël and Johanne Beaulieu of Laval University . For the advices, support and the access to the infrastructures. Alain Goulet and Richard Janvier from the microscopy service of IBIS, Laval University for the time given on my project. Mario Boutin from the autoclave and cleaning service of IBIS, Laval University for the time given on my project. Jean Bérubé, Julie Dubé, Guillaume Nicolas of the Laurentian Forestry Centre, Natural Resources of Canada and Julien Ponchart of Laval University . For the constant support, on a professional level (monitoring, advices, help for resolving problems and stimulating discussions) and on a material level and access to the infrastructures. Marie Lagacé of the Laurentian Forestry Centre, Natural Resources of Canada . For the training, time given on my project and the access to the laboratory. Patrick Gagné for the work made in bioinformatics and laboratory. Thank you for your good humor, for your innovative ideas and for your interest in my project. Gregory Bonito of the Duke University for the key important information about the sequencing. Serge Audet for great ideas about optimizing the identification of DNA sequences process. Jim Trappe, Michael Castellano and Matt Trappe of Oregon State University and also Efren Cazares of Mycoroots and Mrs Heinz. To have welcomed me in Oregon and for the transmission of your knowledge in the laboratory and on the field. Miriane Tremblay, head of the Conservation and Education Service of Parc national des Hautes-Gorges-de-la-Rivière-Malbaie . To have believed in my abilities, to have allowed me to associate myself to the SEPAQ and the resources brought to the project. Benoit Dubeau, head of the Conservation and Education Service of Parc national des Hautes-Gorges-de-la-Rivière-Malbaie . For the continuity, the monitoring and the resources brought to the project. Ève Murray, Technician in natural environment of the Parc national des Hautes-Gorges-de-la-Rivière-Malbaie . For the interest of the results and the monitoring of the project. Miriane Demers-Lemay, Julie Michaud, Jimmy Paradis and Chloé Gosselin. Team on the site of the Parc national des Hautes-Gorges-de-la-Rivière-Malbaie . Thank you for your thoroughness and perseverance and also to Miriane for hosting me in her house. All staff of the Forêt Montmorency . Thank you for all the times that you had helped me out! I often had to deviate some standard procedures and I am grateful for your flexibility which has allowed me to complete my project on time. Guylaine Guillemette, Patricia Bolduc, Marcel Cloutier, Johanne Brouillette, Guillaume Rheault, Marie-Audrey Nadeau Fortin, Vincent Lamarre, Denis Marcotte, Annie Desmarteau, Marc-André Desmarteau, Johannie Labillois, Gisèle Cloutier, André Théroux, Guillaume Giroux, Annie Guillemette, Rémi Bureau, Jean Bérubé, Élisabeth Garin, Agathe Bérubé, Jérôme Quirion, Francesca Marzitelli and Domenico Marzitelli. Team on the site of the Forêt Montmorency . For your enthusiasm, your perseverance, your professionalism... For all those times in the rain and that notorious day with hail! Jean-Paul Lussiaà-Berdou, Lyane Tremblay, Claudine Boudreau, J. André Fortin and Robert Charpentier. Team of volunteers in the research of hypogeous mushrooms of the Cercle des mycologues amateurs de Québec . Your work has been very precious and especially the contribution of your knowledge and your expertise. Jérôme Quirion, Les jardins de pommes for the times we went to search the hypogeous mushrooms, sharing knowledge and the stimulating conversations. Pierre Blanchette and Jean-Claude Bourgeois of Ministère des Ressources naturelles et de la Faune . For the formation and advices regarding the data collection on the site and the database ensued. Nathalie Desrosiers, Gilles Lupien, Michel Hénault and Aurèle Ouellette of Ministère des Ressources naturelles et de la Faune and also Marie-Line Dutil and Bertrand Le Grand of the Cégep de Sainte-Foy . For the micromammals donation which allowed me to test the laboratory protocol (extraction, amplification and DNA sequencing) and also for the advice. France Barrette of the Centre de formation professionnelle Mont-Laurier , Michel Hénault of the Ministère des Ressources naturelles et de la Faune , Philippe Lévesques and A.J. 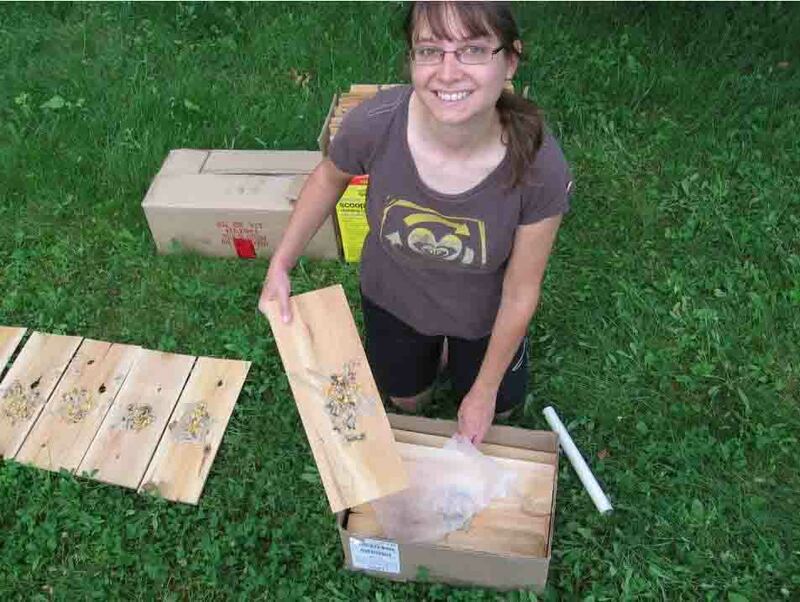 Milles manager trappers and Pauline Priol of the Quebec University in Abitibi-Temiscamingue for the Northern flying squirrels samples. Steeve Côté and Sonia de Bellefeuille of Laval University for the white-tailed deer samples. Claude Isabel's team from Gaspésie National Park for the caribou samples. Christine Juge of Laval University for the Cenococcum geophilum samples. Krystyna Klimaszewska and Catherine Overton of the Laurentian Forestry Centre, Natural Resources of Canada for the pine and spruce samples. Francesca Marzitelli for the transmission of knowledge and expertise. Carole Puma, Marie-Ève Dextrase, Julie Decouttere and Denis Garand from the team Best in Genomics . Jacques Laliberte of the Seminary of Quebec . To let me access to your territory between my two sampling sites. Hélène Glémet of Quebec University in Trois-Rivières for introducing me to sciences. 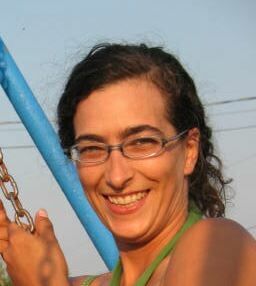 Sandra Cloutier for the English translation and revision of this website. And also to my director André Desrochers and my codirectors Yves Piché and J. André Fortin . For all the paperwork added to your job because of me. For all those times that I was stuck and that you responded me so quickly. Thank you for listening to me, to advising me, ideas and dreams of research that we realize together. The mixture will be used to lure the micromammals. Plates with the mixture, ready to be placed in the forest. 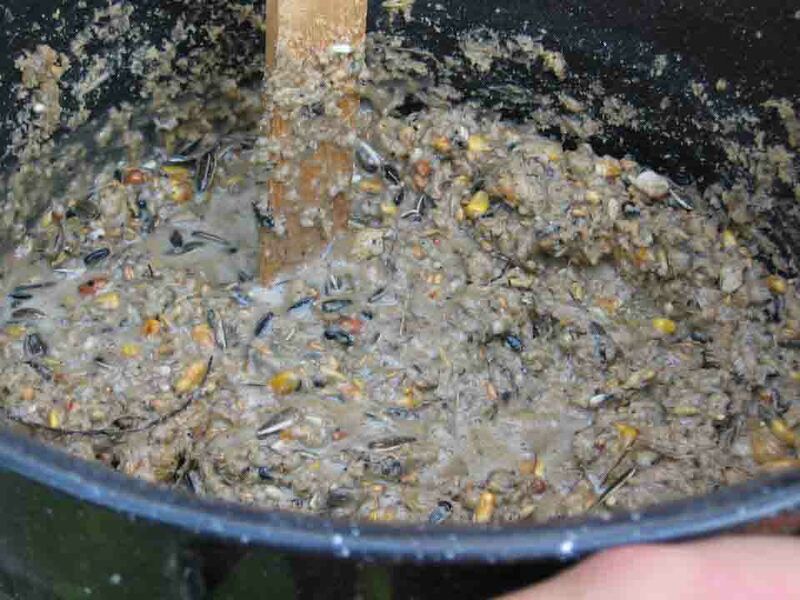 The pick-up of faeces on feeding plates. 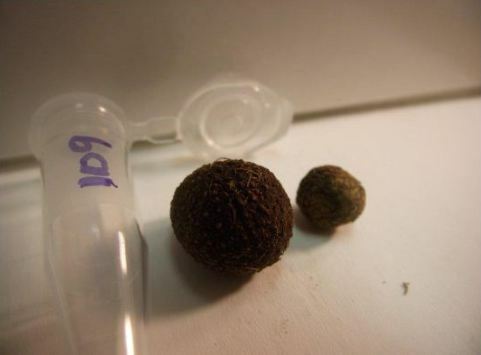 Some photos of hypogeous mushrooms or other structures to identify, obtained on the field.